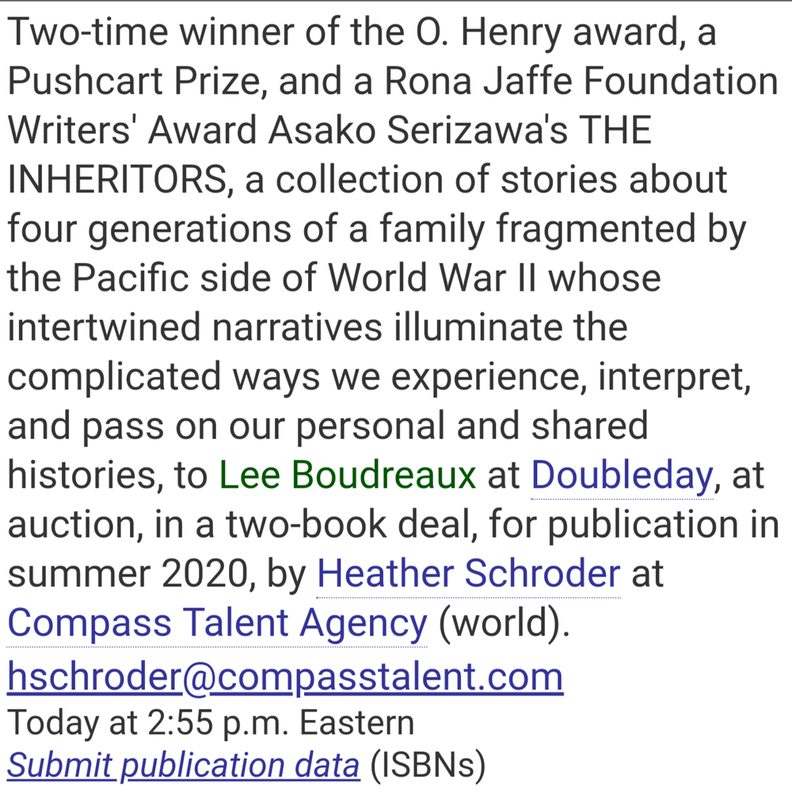 “Echolocation” is the last story in my collection of interconnected stories, Inheritors, due out from Doubleday in 2020. Like all the other stories in this collection, it was written in the context of the whole, but also to be read in its autonomy. I’m so very pleased to see it in Copper Nickel, its perfect home, I think. Check out the issue — it’s packed with range and variety! "Willow Run" is one of two companion stories to "Allegiance," first published in the Hudson Review. Do you know ‘Willow Run’? Check out the other pieces in Witness's Summer Issue here. Every year the writing fellows at FAWC read short clips of their work for SHANKPAINTER, FAWC's audio collection/archive. I read the beginning of "The Visitor." Listen to our clips on SHANKPAINTER 56: SPRING 2016. Artwork by FAWC 2015-16 Visual Art Fellow Michael Menchaca. Check out his work here. Reading w/ poet Safiya Sinclair. We were profiled in the Provincetown Banner & shared a newspaper page. I read a couple of revised sections from Allegiance, streamlined for listening purposes. "Train to Harbin" is one of the two companion pieces to "The Visitor," which appeared in the 2013 O. Henry Prize Stories. Also check out the other two stories in the New Writer's issue here. Thanks, Katy Bowman, for the thoughtful questions! Way back, when I was a senior in high school, I received a writing award from the English Department. I was in Japan, in Tokyo, having moved back there for the last two years of my high school. The school was called -- is still called -- the American School in Japan. I hated it, except that I made some very good friends and was encouraged to read and write and read some more. This was before I wrote my first story; all I had written were papers and essays and a smattering of embarrassing poems I mercifully showed no one except a couple of close friends, who I have to hope saved no copies of them. The writing award came with a gift. It was wrapped in washi, traditional Japanese paper, and contained a copy of that year's O. Henry Prize Stories, signed by everyone in the department. Having gone to British-based International Schools all my life in countries where access to English-language books were mostly limited to English classics curated by the school library, it was my first introduction to the prize and anthology. It's a strange feeling now to see my name included here and see the spine next to the one I had received all those years ago. It's nothing I ever imagined back then -- it had not yet crossed my mind that I would one day write fiction. Here is Laura Furman’s incredibly thorough summary of the story. Here are Edith Pearlman’s kind words in her juror essay. Brief notes about the writing of the story can be found here. Read an interview about the story here.